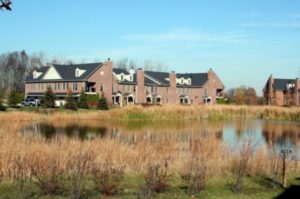 In 2017, Wellesley Gardens sold a total of 16 condos; 2 of which The Bouma Group was involved with. The sales decreased by 3 condos compared to the previous year. Offers that were both above, below, and the same as the listing price were accepted, which shows negotiation between buyers and sellers. $259,000. 3337 Endsleigh, Ypsilanti. 1975 sq. ft., + 800 in finished lower level, 3 bedrooms and 3.1 baths. $212,500. 3414 Endsleigh, Ypsilanti. 1487 square feet with 2 bedrooms and 2.1 baths. $209,000. 5635 Hampshire Ln., Ypsilanti. 1316 square feet with 2 bedrooms and 2.1 baths. $205,000. 5709 Hampshire Ln., Ypsilanti. 1487 square feet with 2 bedrooms and 2.1 baths. $205,000. 5706 Wellesley Ln., Ypsilanti. 1318 square feet with 2 bedrooms and 2.1 baths. $205,000. 5678 Hampshire Ln., Ypsilanti. 1341 square feet with 2 bedrooms and 2.0 baths. Currently, the average sale price of condos at Wellesley Gardens is $200,031, which is an increase of 9% compared to the ASP in 2016. The average price per square foot for the 16 condos sold in 2017 is $142.00, which is an increase of 8% in comparison to the A$/SF of $131.00 in the previous year. For more details and information about Wellesley Gardens, contact the condo specialists with The Bouma Group at (734)761-3060 or email info@bouma.com. View the previous market report for Wellesley Gardens here!